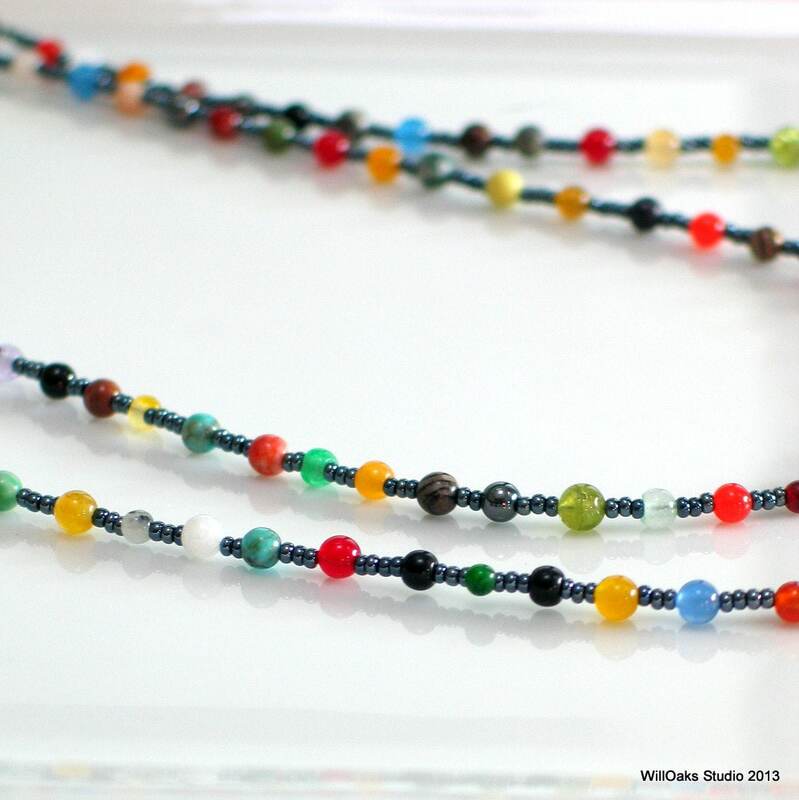 A bright beaded necklace of colorful gemstone beads and shiny dark gray glass for a long versatile chain. 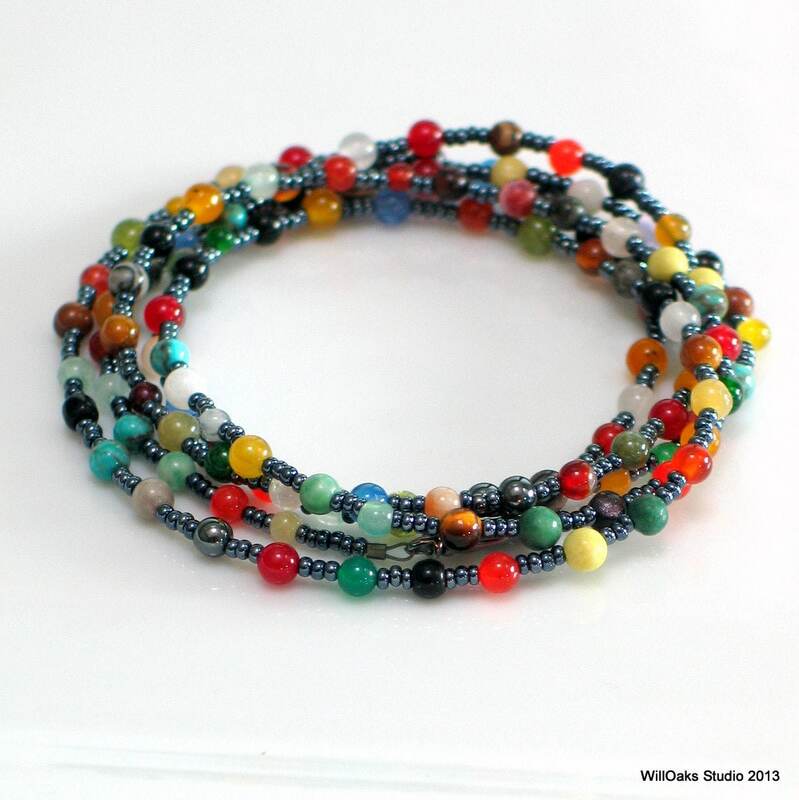 It can be worn long, doubled or used as a wrist wrap. 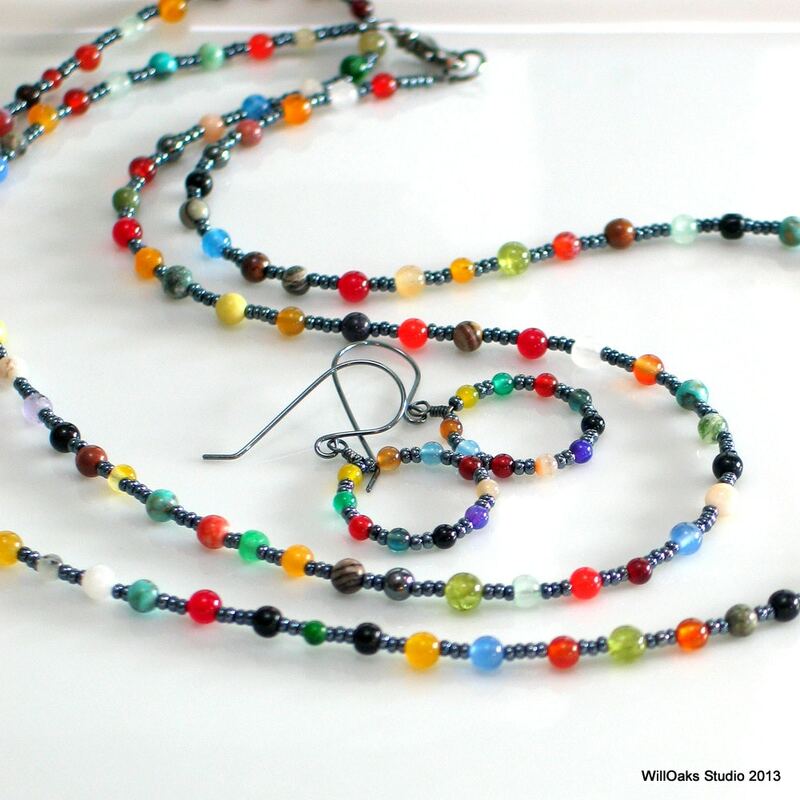 A beautiful collection of different stone beads and colors. 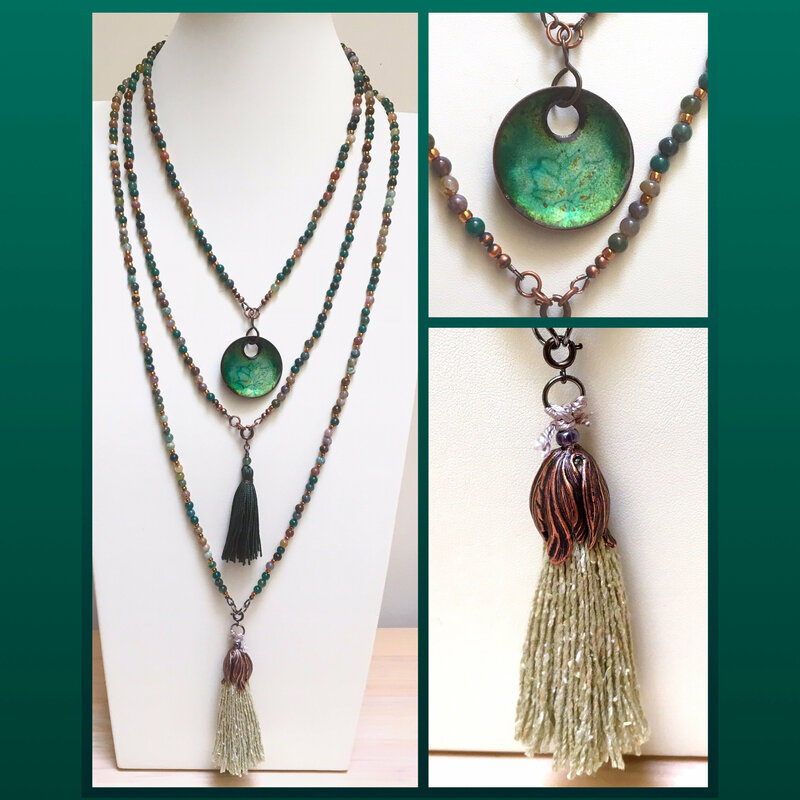 Use it to add a touch of Bohemian fashion, to display your "inner hippie"--or just to celebrate the joy of color! 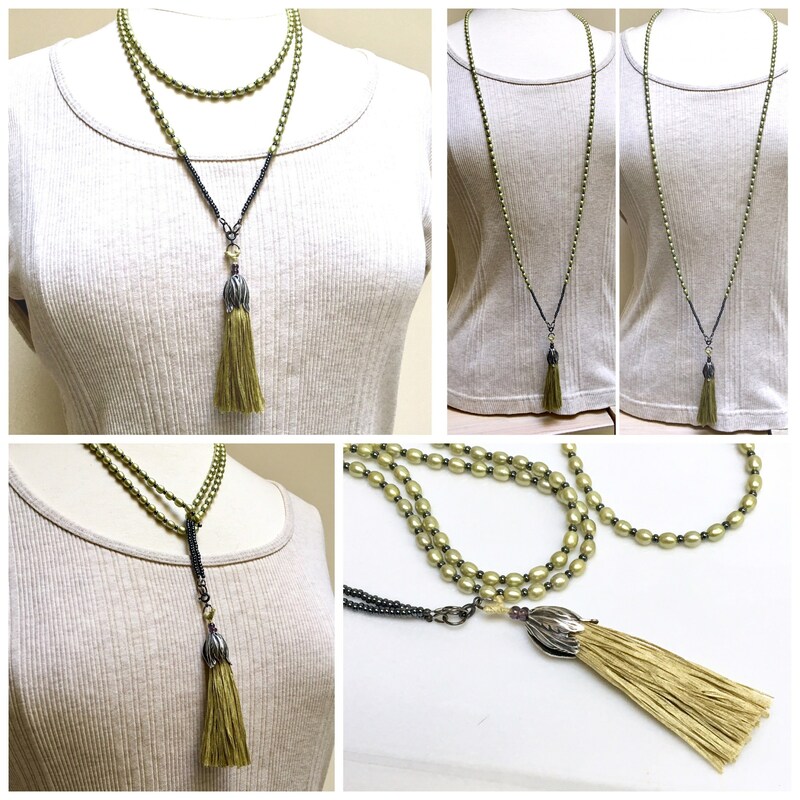 A shiny dark gun metal gray clasp and ring finish this long chain. 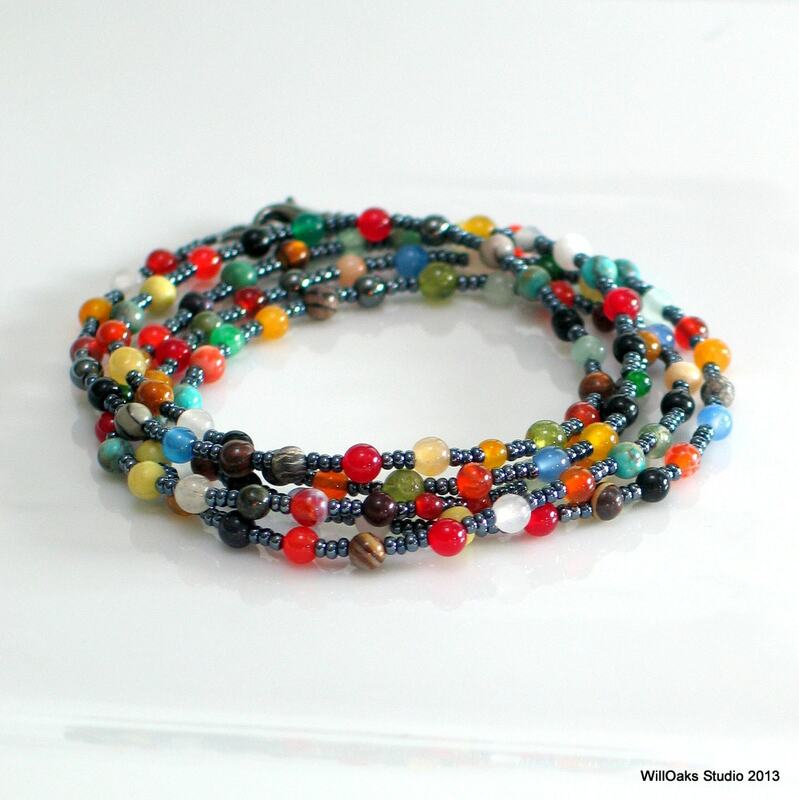 A rich, original mixture of different stone beads, between 3 and 4 mm, are randomly spaced with lovely Czech glass seed beads which offer a dark backdrop to the bright colors. See more of my "Tapestry Series" here http://www.etsy.com/shop/WillOaksStudio?section_id=12313922. 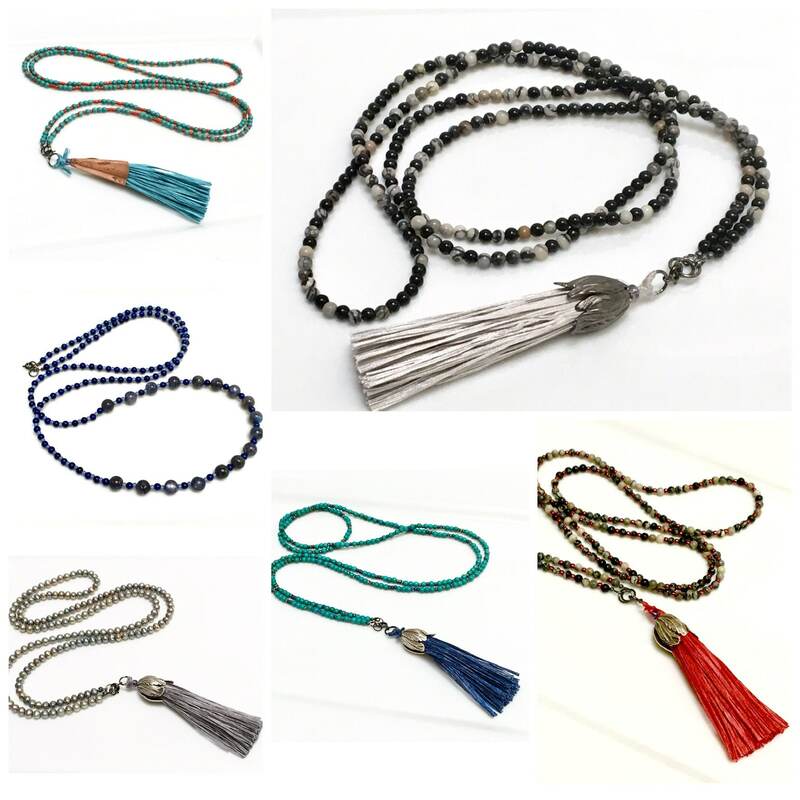 I love gemstone beads and am always on the hunt for them. Some time ago, I stepped back and realized what a wonderful collection I had gathered with so many shades and colors, in quartz, agates, jaspers and many other varieties, all between 3 and 4 mm in size. I began to experiment with ways to use mixtures of these, that I mix myself, in a series of pieces that I've names the "Tapestry Series." 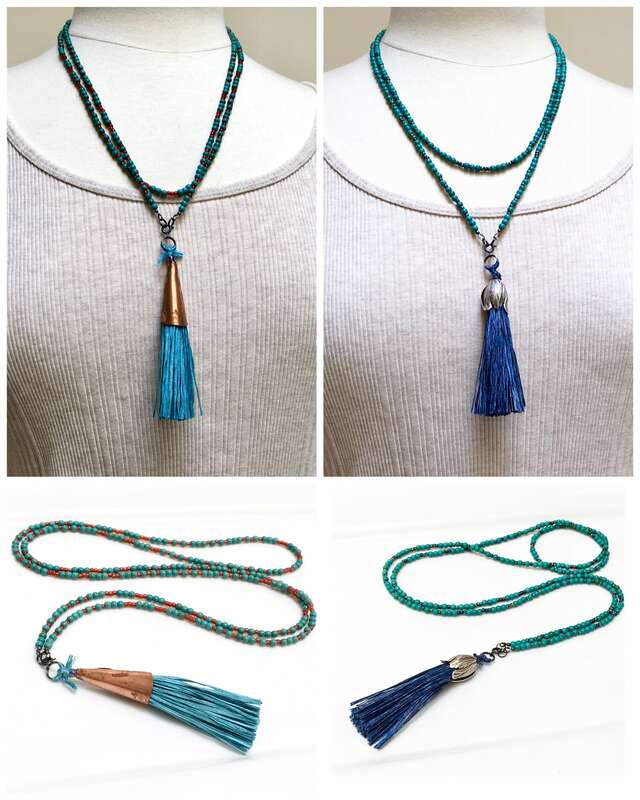 Each necklace has a slightly different mix so will be unique but all will have a similar feeling to the one in the photograph. This is a limited edition WillOaks Studio original design. Packaged in a velvet pouch for storing and for gifting. 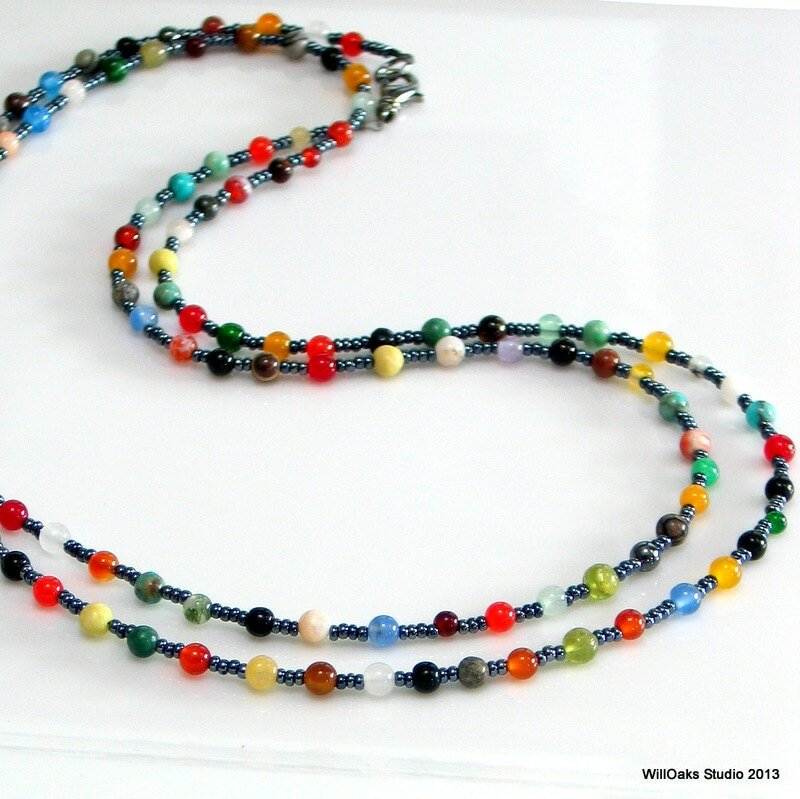 As with the first necklace I received as a gift, the workmanship on this is lovely, as are the colors of the stones. The dark gray is a wonderful contrast! 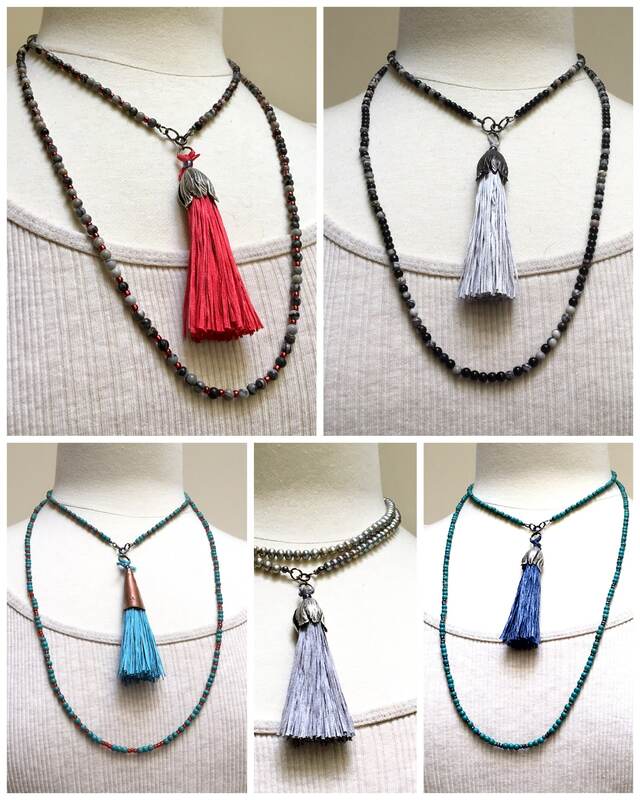 Beautiful colors in a carefully crafted necklace! I am a repeat customer and will definitely be back again in the future!